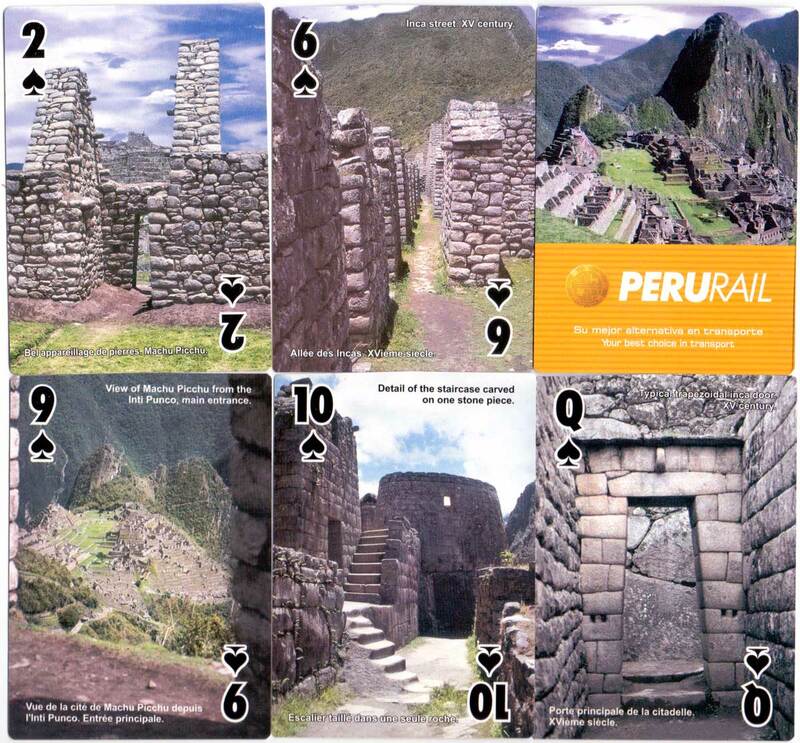 Above: Peru Rail souvenir playing cards "exploring the land of the Incas" published by Peru Rail, Estación Wanchaq, Av. Pachacútec s/n, Cusco. 52 cards + 2 jokers in box. 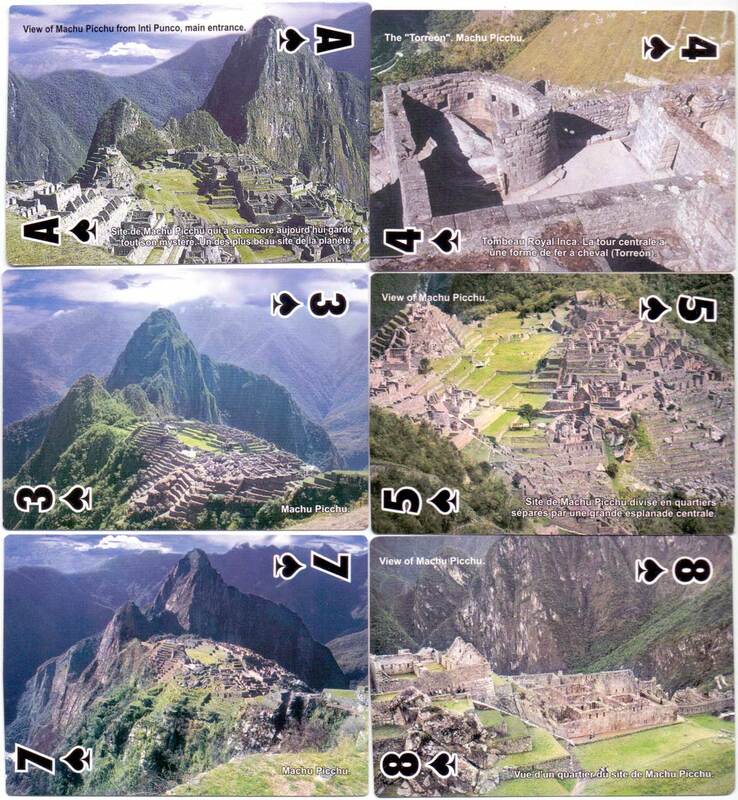 The cards are slightly large-sized [74 x 105 mms] and the same images of Machu Picchu are repeated in each suit. 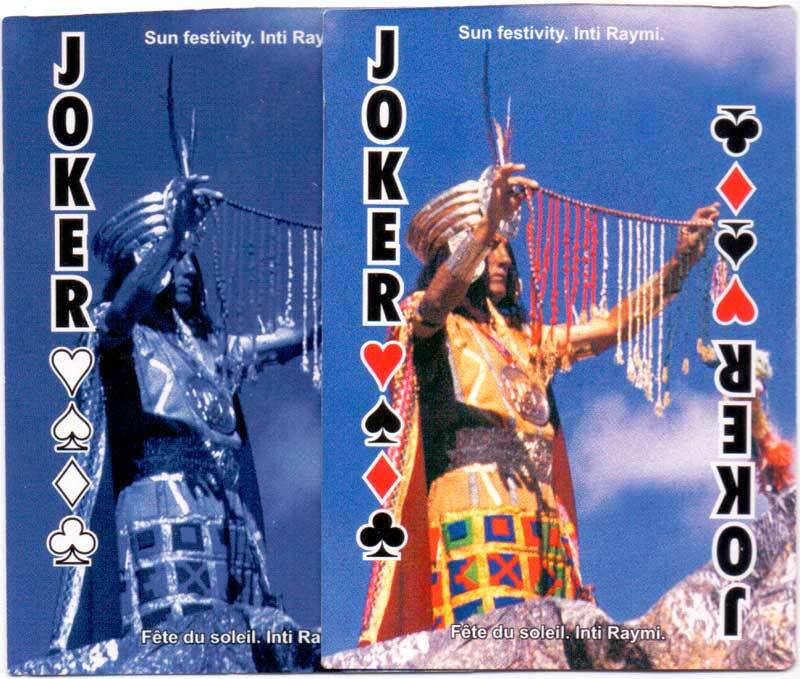 The cards appear to have been produced by Power Casinos© whose logo appears on one of the box flaps.